The 11th edition of the Effie Ecuador Awards was held on October 28th at the Convention Center in Guayaquil. The event was attended by over 600 marketing and communications professionals from around the region. 1 Grand Effie, 7 gold, and 8 silver Effies were awarded to the most effective marketing communication cases in the categories: Food and Beverage, Services, Promotions, Nonprofit, Product Launch, Service Launch, Sustained Success, Institutional, Low Budget and the Internet. The Grand Effie went to marketer AMBEV and agency Paradais for their case "BRAHMA TV" for Brahma. 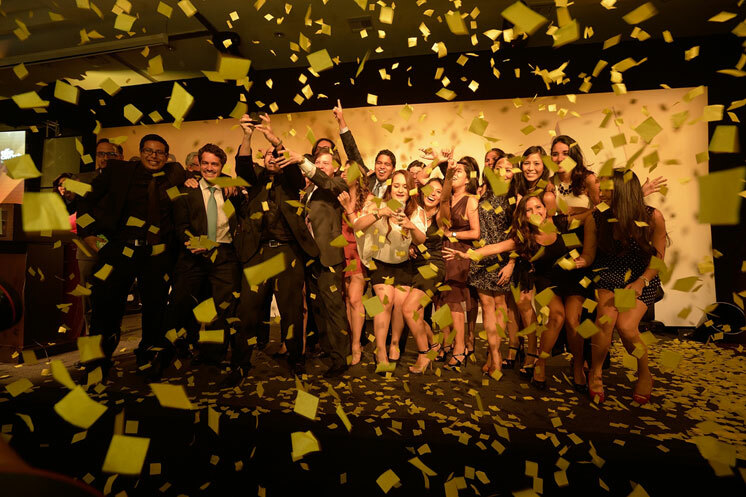 The gold-winning teams were: Pacificard and Saltiveri Ogilvy for “Historias Que Vivir” for Pacificard; Banco de Alimentos Diakonia and McCann Erickson for ”Barrigas Contentas, Corazones Llenos” for Banco de Alimentos Diakonia; Fundación Sánchez Aguilar and Norlop Thompson Asociados for “Las Burladas por Don Juan” for Las Burladas por Don Juan; Lubrival S.A.’s “This is Valvoline” for Valvoline; Cerveceria Nacional and Publicitas for “Club Premium Negra” for Club Premium Negra; and Grupo el Comercio and La Facultad for “Bendito Futbol” for www.benditofutbol.com. For more information on the Effie Ecuador Awards, visit their website.